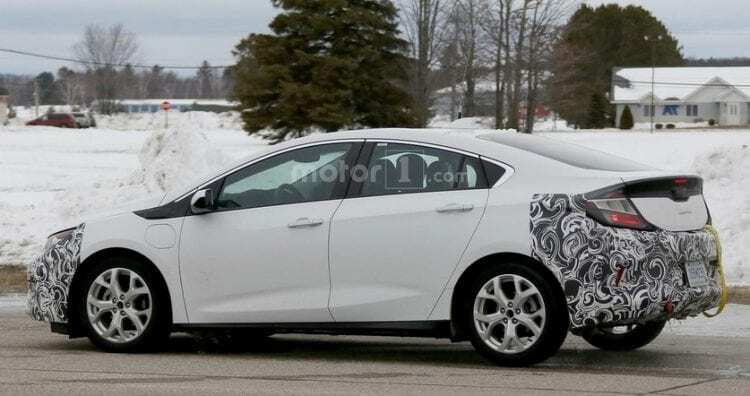 2017 Opel Ampera – More Efficient Hybrid Sedan! The Opel Ampera is the best selling hybrid in Europe and for a good reason, it is efficient, it looks great and it is quite cheap. With the all new Volt already released, the European version will receive a large update quite soon. The car is going to hit the market as the 2017 Opel Ampera closer to the end of the year and like before, it will be nearly identical to the US version. There will be differences between the two, more precisely to the interior equipment levels and its badges. Unlike the US model though, the Ampera will be available in two different versions, but more on that later. It seems that the price of the car is going to go down by a small margin. Many suggest for a starting price closer to €30,000 which would be quite impressive. However, this has yet to be confirmed and it still is unclear if the price will actually be including the usual government grants. The new model will benefit greatly from GM’s new modular platform which also underpins the new Volt. While the two will be quite similar, like we said above, there are going to be differences. Firstly, it seems that the European model might be slightly better equipped than the model designed for the US market, at least in some countries. Also, the car could receive different models for a few specific markets in order to reach the price tag set by these. The largest change over the previous car will be the design. 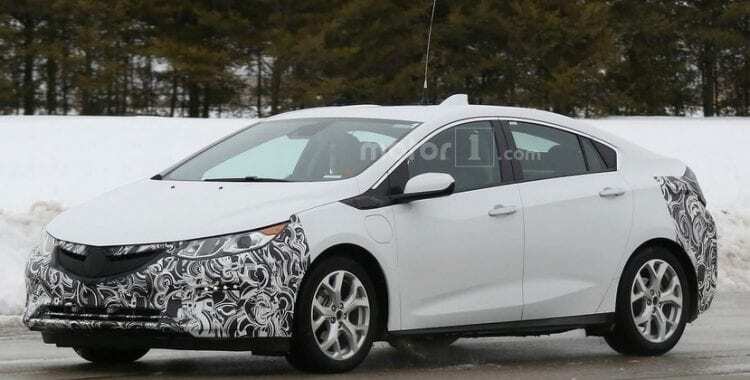 The new 2017 Opel Ampera is going to look a lot more like a conventional four door sedan. In the front it should be nearly identical to the all new Astra. This means that the rather aggressive and bold design of the previous model will be gone. This is a bit disappointing because its front end was the most interesting part about it. Its rear end on the other hand will be a lot better looking while from the profile it will look less like a minivan which is always nice. The bottom line is that the new Ampera will be a better looking car that will certainly appeal to a larger market. The quirky look of the interior will also be gone. Instead, the new car will get a much more conventional approach. It will feature a wide center stack with the usual controls found in an Opel but with a new instrument cluster. The steering wheel and most of its controls will be taken straight from the Astra. Like before, a plug-in hybrid powertrain is going to be used for the new 2017 Opel Ampera. This will receive an all new engine. This will make use of a smaller 1.5 liter naturally aspirated inline 4 as well as two smaller and more efficient electric motors. These will offer less power and torque but despite that and despite the fact the car will be overall less powerful, the performance levels will be roughly on par with the older model. This will be achieved with larger battery packs and more torque available in a sustained mode. 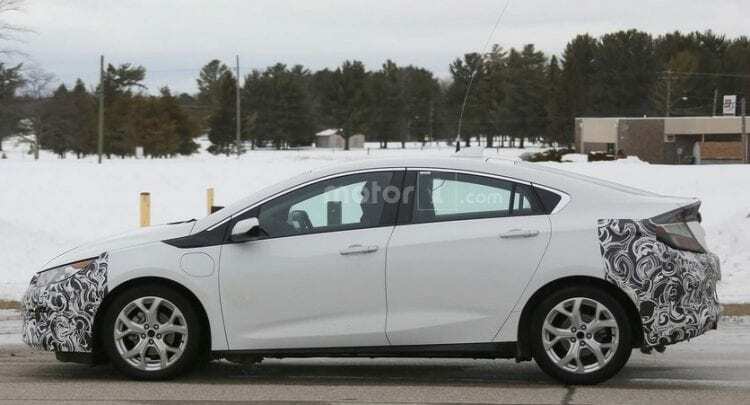 The Volt is capable of more than 48 MPG on average and in fully hybrid mode, it easily outmatches cars designed to be more efficient than it. The biggest selling point of the Ampera will be the fact that it will be able to run in a full electric mode. With it, the car will be able to drive up to 50 miles which is usually less than what most people are doing in a day. This means that it should be driven mostly as an all electric vehicle in which case it will save a lot of money on fuel.